Scott Filion, a long time fastener industry veteran, joins The Phillips Screw Company as President. Ken Hurley remains as company CEO. The Phillips Screw Company recently conducted a national search to find a new president. The search culminated in hiring New Hampshire native, Scott Filion, to fill this newly created position. Filion will assume the responsibilities as president from Ken Hurley. Hurley will continue in his capacity as CEO. Filion brings nearly 30 years of industry experience, including his background in bringing technically driven industrial and consumer products to market. Filion started his career in engineering where he developed innovative products and processes for the automotive industry. He holds 22 patents. “Scott brings a world of experience to our organization and we are looking forward to his contributions in taking The Phillips Screw Company to the next level,” said Hurley. “We were fortunate to find not only a person with industry experience but also a person with the right blend of technical and consumer goods to fill this roll,” Hurley went on to say. Most recently Filion served as the President of Velcro USA Inc., having been with the organization for more than 20 years. During Filion’s time there, he led the organization through significant growth by helping to develop new solutions across multiple industries as well as through the expansion of the manufacturing footprint in the US and Latin America. 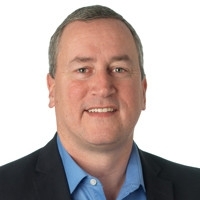 “Scott’s leadership and his depth of knowledge in the industrial space positions us well for the future and will enable Phillips to achieve rapid business growth through continued customer success,” claimed Hurley. Scott holds a BS in Mechanical Engineering and an MBA, both from the University of New Hampshire.